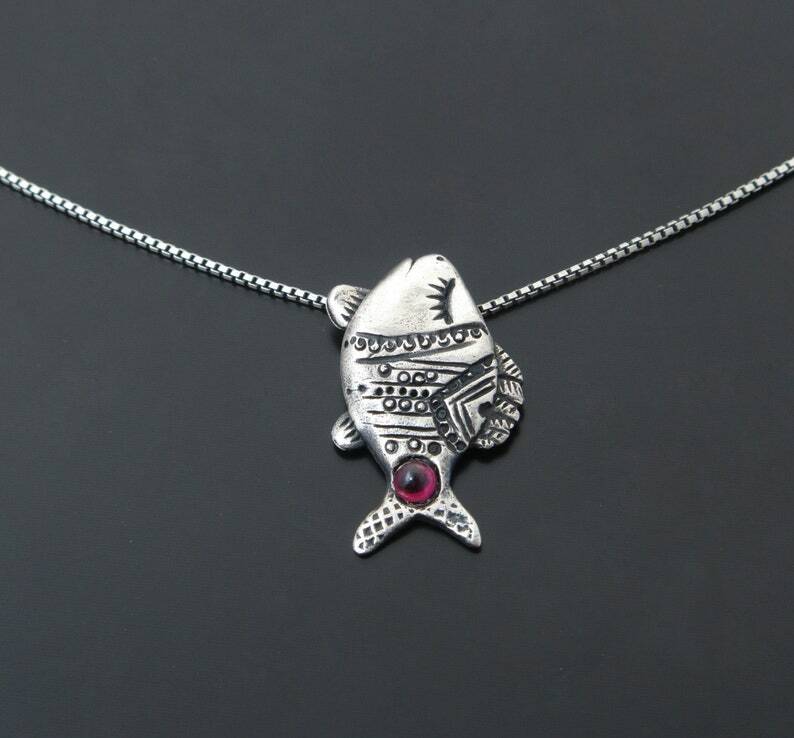 Solid sterling silver fish pendant. Handmade original jewelry of silver fish with garnet stone. I manually sculpted fish in wax and cast into sterling silver. The outside finish is oxidized and polished. I call it "fish of luck" or "lucky fish" pendant. Materials: Pendant, jump rings, and clasp are 925 sterling silver+ silver (925) chain. The stone is a garnet stone. Length of the chain 45 cm (or contact me to let me know about different length). Original and One of a Kind jewelry is handmade by Vakadi . Each item is OOAK because it is handmade , so the finished pendant by your order may slightly differ from the one pictured. Please convo me for any question.